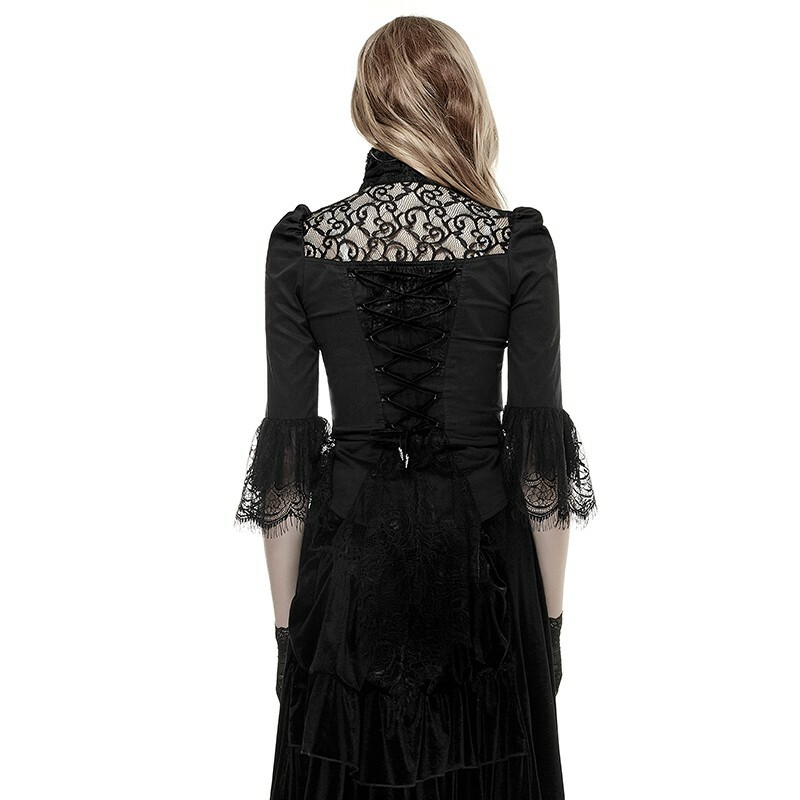 - Fabric : 65% cotton, 32% polyamide and 3% spandex. 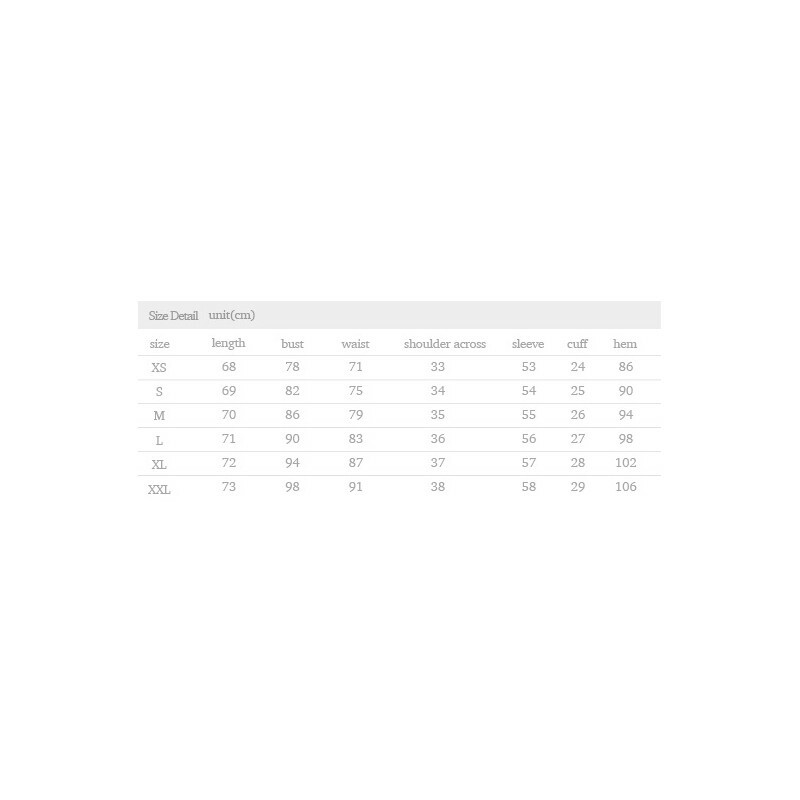 - Lining : 92% polyamide and 8 % spandex. 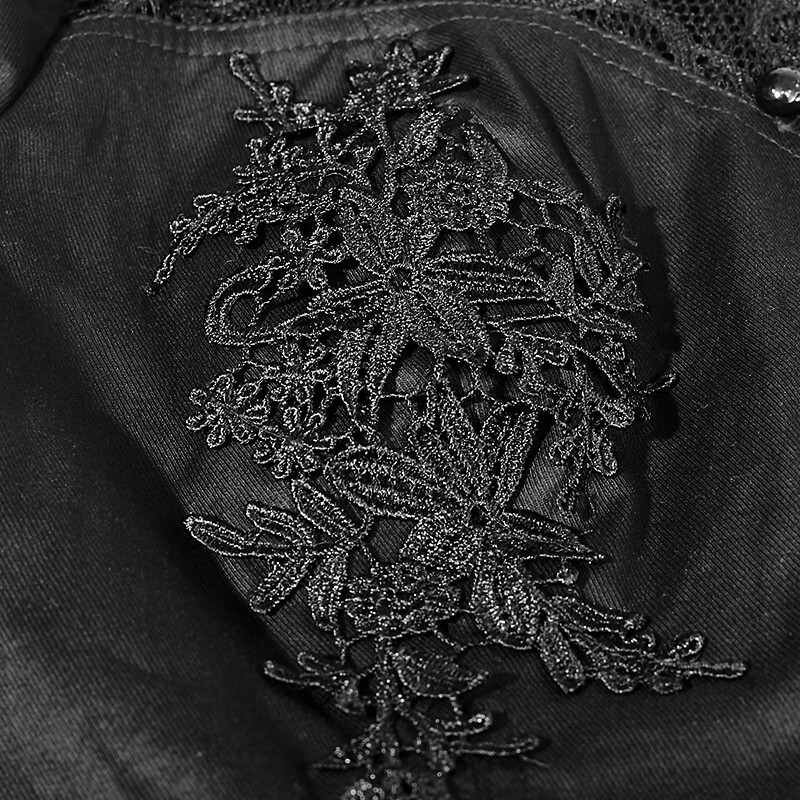 Mesh design at the upper front with a high collar and leaves decoration down the bust on the both sides. 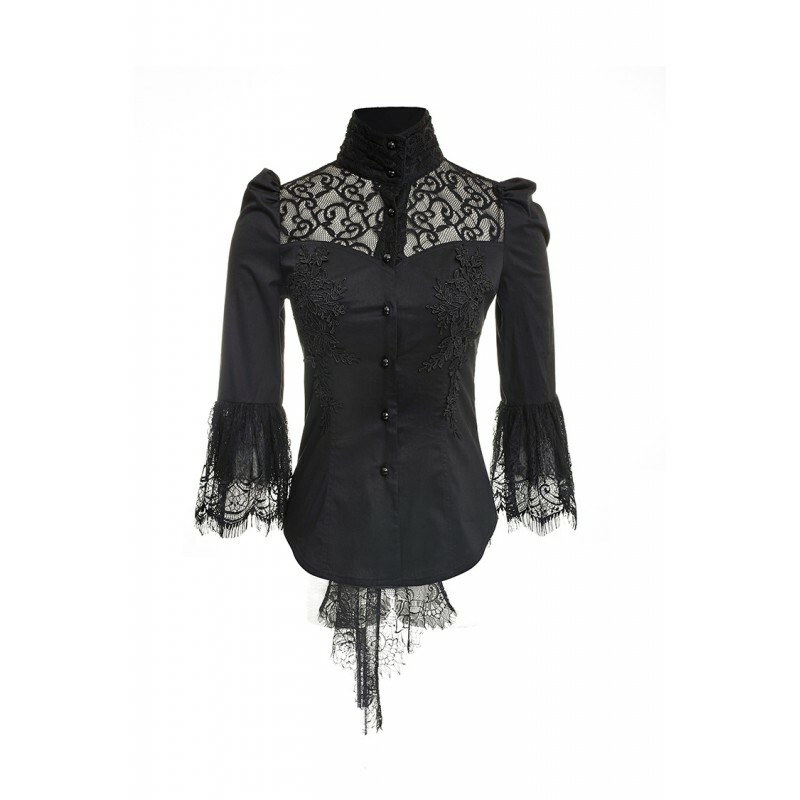 An elegant mesh design at the back bottom and the Half sleeve edge. 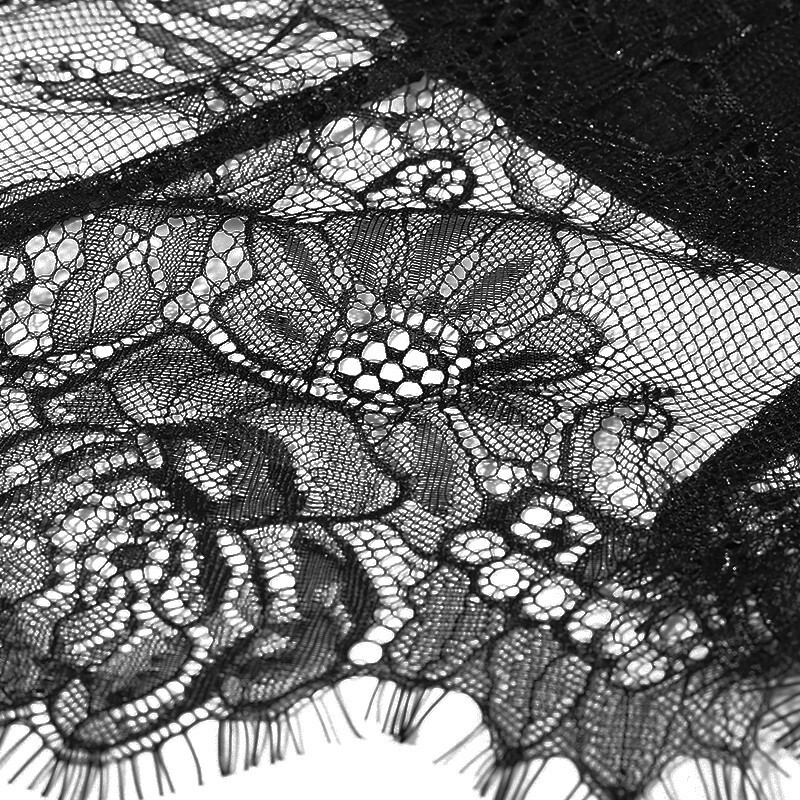 Crossed laces at the back for size adjusting. 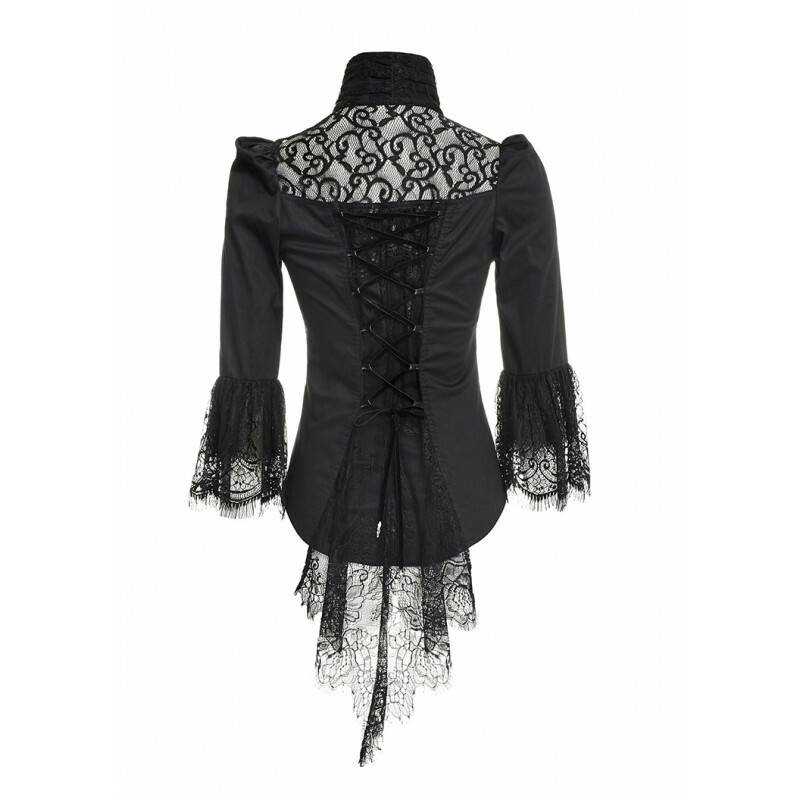 Classy and unique, this Top can be easily paired with any Gothic outfit !